John Pearl is the Design Director and a co-founder of Gunfire Games. He has worked in AAA game development for the last 17 years. He has recently worked on titles such as Chronos, Herobound: Spirit Champion and Darksiders II: Deathinitive Edition. He is a lifelong gamer and still finds time in his busy schedule to stay up with the latest games as well as playing classic ones. Previously he worked at Crytek USA as the Character Art Director. Prior to that he worked at Vigil Games in many different art roles from Environment Art Director to Studio Technical Art Director; performing in crucial art roles on Darksiders, Darksiders 2 and Dark Millennium Online. He has spent the bulk of his time leading Environmental, Character and Technical Art teams but has also worked closely with many Animators, UI Artists and Visual Effects Artists. While leading large internal teams he also worked with multiple outsourcing firms providing them with technical documentation on process and methodology, in addition to artistic feedback and direction. 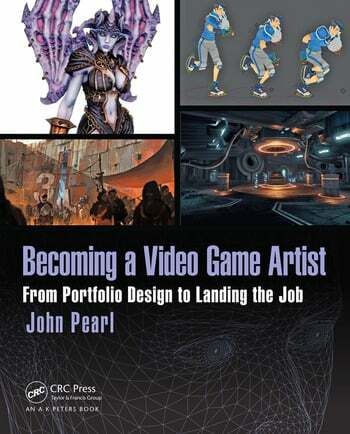 In his time in the game industry he has reviewed many hundreds of portfolios and interviewed countless art candidates. He created an Internship program at Vigil Games in addition to mentoring and training numerous young artists; many of whom have gone on to have successful careers in games.